Easter is on Sunday and I’m officially in holiday mode. I didn’t put out any decorations this year, so I’m focusing my energy on food for Sunday dinner. I usually spend Easter with my boyfriend’s family and his mom cooks most of the meal, but I like to help out a bit and bring a side dish. She’s a great cook, so I always try to bring something as yummy as the rest of the delicious food she prepares. Last year I made scalloped potatoes and they turned out great, but I’m looking for a new idea this year. I figured some of you might be looking for a new recipe too, so I thought I’d share some of my side dish ideas for Sunday. I made potatoes last year, so I’m trying to come up with a different idea, but both of these recipes are so good! 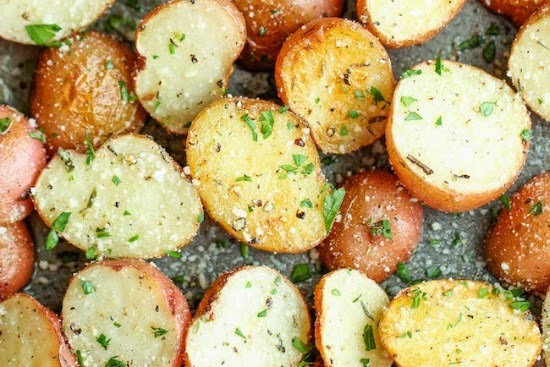 I’ve made the roasted potatoes a couple times and they are delicious, but I always have to cook them longer than the recipe says - just a heads up. 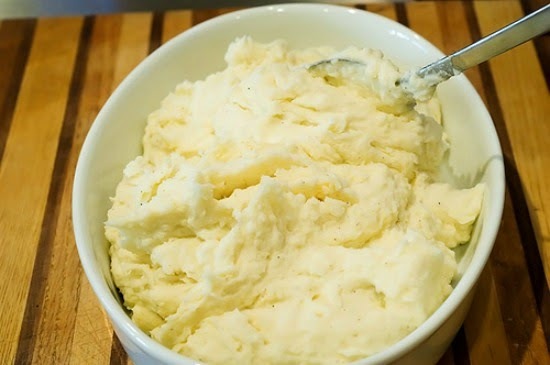 And those mashed potatoes from the Pioneer Woman are the best! Of course anything with lots of butter and cream cheese is going to be good. 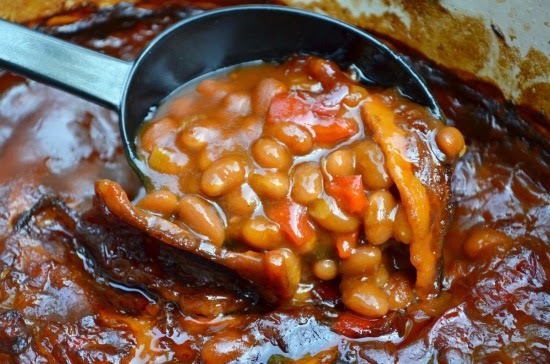 My boyfriend’s mom makes the BEST baked beans ever, so I won’t be bringing these, but it might be a good option if you are looking for a side dish. Baked beans seem to pair well with ham. 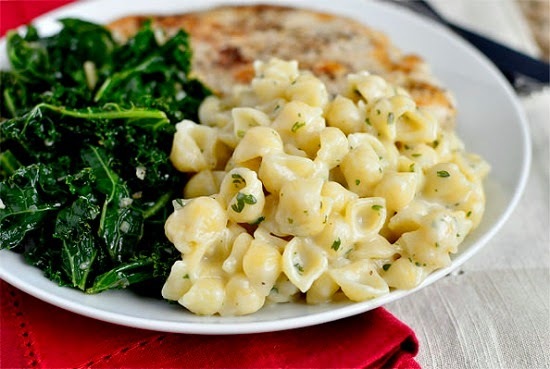 I think these creamy garlic shells would also pair well with ham or any other meat for that matter. I really don’t care for asparagus, but I’d be willing to try it again if it’s covered in cheese. Maybe it’s one of those foods that grows on you? I used to hate mushrooms, but now I love them. 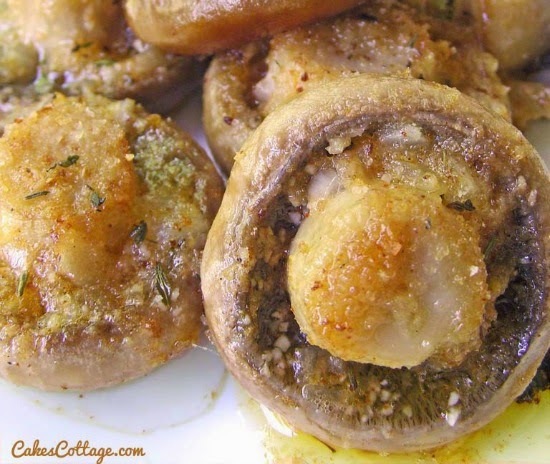 I think these roasted mushrooms would be a great side dish option as well. 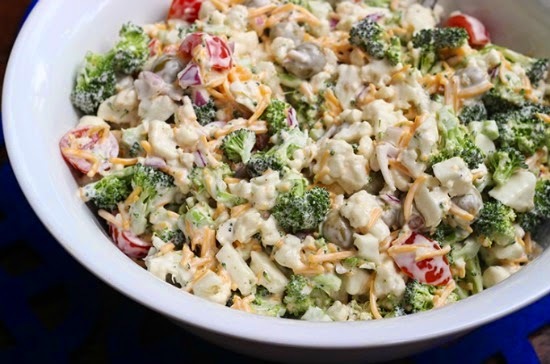 Or if you are looking for something healthier, this broccoli salad would be a good option. It would also travel well. You could mix everything together and just add the dressing later. Deviled eggs are also a good option if you are traveling to another house for dinner. Obviously they don’t need to be reheated, so you don’t have to worry about stealing your host’s oven space for your dish. Bacon and jalapeno sounds like a fun twist on a classic dish. Lastly, Del Monte has a few #10minutewow side dishes that would be great options for Easter. 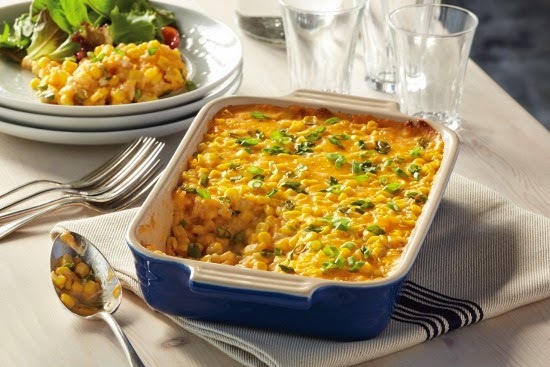 This cheddar corn casserole sounds super easy. 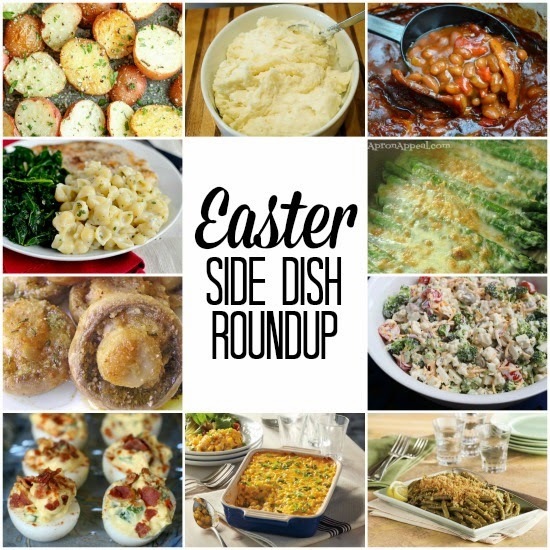 If you are preparing a full Easter meal, it’s always nice to have one quick dish that you don’t have to worry about. This green bean dish also sounds super easy. 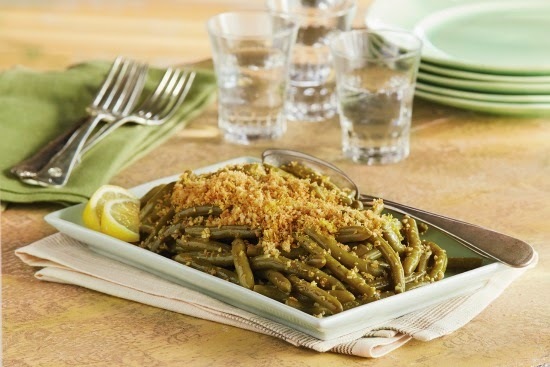 We’ve been eating a lot of green beans lately, so if I don’t make this for Easter, I’ll probably end up trying it another night. What are you making for Easter dinner? Any other side dish suggestions? 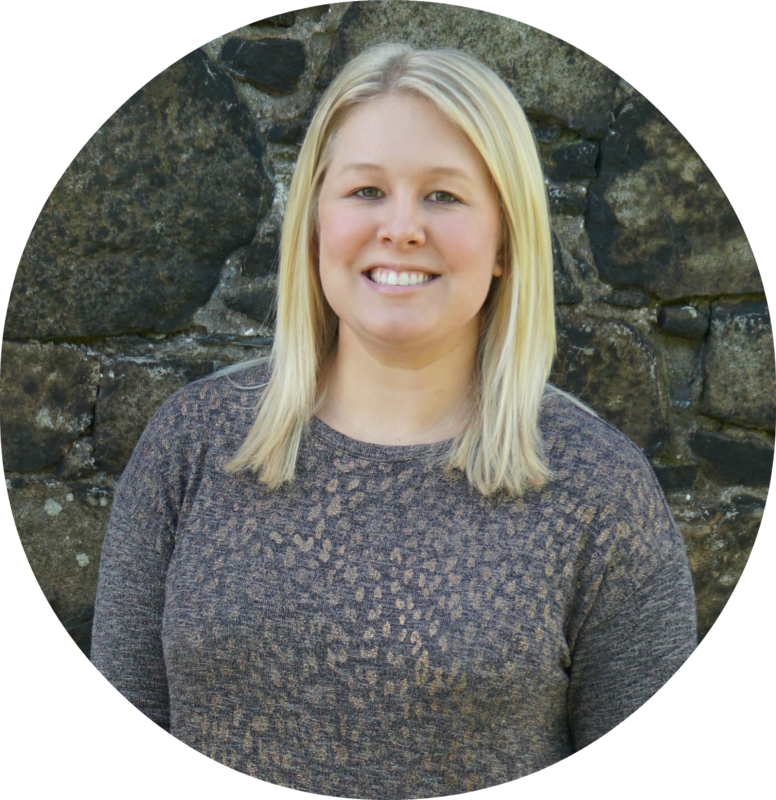 Disclaimer: I received an Easter Cooking Kit from Del Monte in exchange for including their recipes in this post. However, all opinions and food cravings are mine and mine alone. And I really am going to try that Lemon Garlic Green Beans recipe! I need those mushrooms in my life! I'm currently in the process of finalizing my Easter menu so these are perfect! Those roasted potatoes look delicious and the deviled eggs with the bacon, yum! 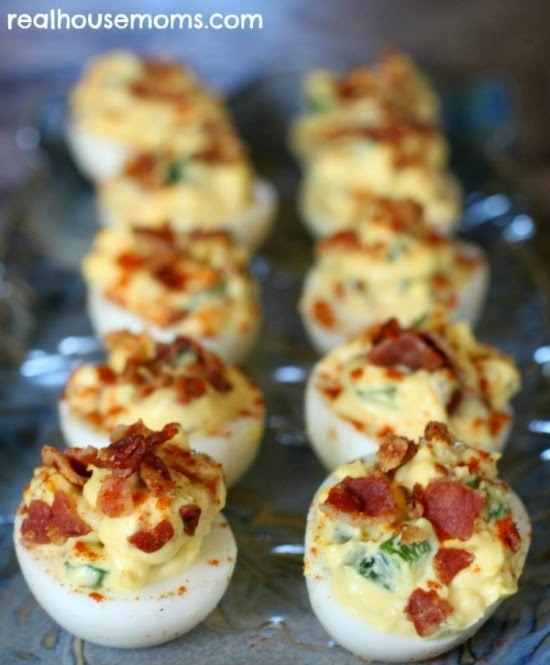 I ended up making the bacon jalapeno deviled eggs and they were a hit! I definitely recommend that recipe!